We start this show with a discussion that fuels a conflict between the ideals of vegan consumerism vs. animal liberation. The restaurant chain Chipotle Mexican Grill has been offering a promotion recently of free vegan food, while there is currently a nation-wide Direct Action Everywhere campaign being run by animal advocates that is in direct opposition of the Chipotle restaurants, in calling out their lies perpetrating the “humane myth” in the way they treat their animals. Will the vegan movement stand divided between those who protest Chiptole and those who support the restaurant’s vegan options, or can we find some common ground to be united in our support of vegan food and against animal cruelty? Our first interview is with Ian McAllister. He is a wildlife photographer, and the Conservation Director of the non-profit organization Pacific Wild, which is dedicated to defending wildlife and their habitat by developing and implementing solution-based conservation strategies. We reported on the show earlier this month that the British Columbia government has just launched a wolf kill program, which involves shooting up to 184 wolves from helicopters as a method of population control to save endangered caribou in the province. Wildlife conservationists say that the wolves are not responsible for the dwindling population, and that implementing such a kill is “ethically, scientifically and socially unjustified”. 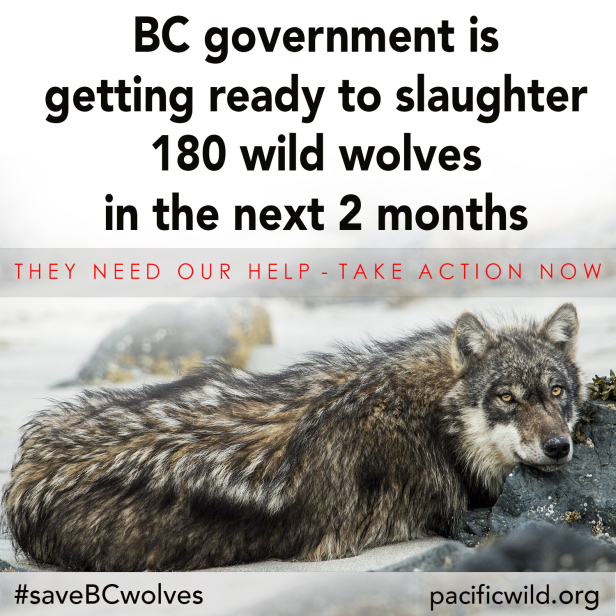 Ian provides a voice for the voiceless in this interview and gives us some perspective on what is happening right now for B.C.’s wolves in what is being call by wildlife advocates as an ill-conceived plan. We find out about the background of how this population management strategy/cull came into place by the B.C. government, and other reasons why the caribou population has drastically declined to a number of only 18 since last March. Pacific Wild has instituted an aggressive campaign to save the wolves, and their petition for those who support the end of the killing can be found here. Our feature interview is with Liz Hallinan, who is the Director of Public Policy for the U.S. national animal advocacy organization Compassion Over Killing. Earlier this month, a federal court struck down the California law that had banned the sale of foie gras, that is, the diseased fatty liver of ducks, in the state for the past two-and-a-half years. This law had been passed in 2004 and finally came into effect on July 1st, 2012. With the overturning of this law, restaurants in California are now able to serve foie gras for consumption, despite its inherent cruelty that got it banned in the first place, and COK was and is still is active in campaigning against the production and sale of what is known as a “delicacy” in the food world to many. Liz speaks to us about the cruelties of foie gras, the lawsuit that COK (along with other organizations) has filed against the USDA in citing them to be in violation of the Poultry Products Inspection Act by allowing a diseased organ to be sold for consumption, and the politics that were involved in this month’s reversal of a law that was passed 10 years ago to protect the animals against the egregious cruelty involved in this food production. 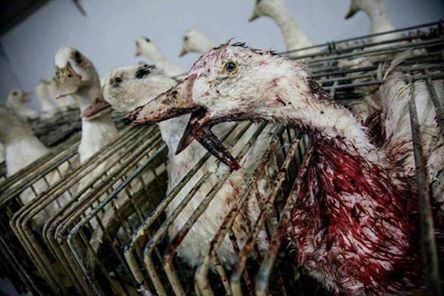 It’s recognized to be so blatantly cruel that foie gras has already been banned in other countries, including Israel, Italy, Austria, Czech Republic, Denmark, Finland, Germany, Luxembourg, Norway, Poland, Holland, Sweden, Switzerland, United Kingdom and South Africa.